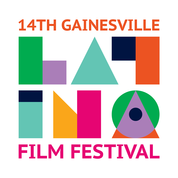 Over the past 13 years the Gainesville Latino Film Festival (GLFF) project has become an essential protagonist in the cultural diversity landscape. Through film exhibition, educational events, and programs, GLFF inspires and engages diverse audiences to initiate conversation and community building. During this year’s Festival, through its social media platforms, GLFF will begin a campaign to raise awareness about community organizations that are tackling some of the toughest community issues. Through this initiative, GLFF hopes to inspire Festival participants to become involved with outstanding organizations that have been working at the grassroots level for and making positive changes in our communities: the UF student-led Puerto Rico Relief Project, Farmworkers Self-Help, Inc., and Americans for Immigrant Justice. Please get to know the Puerto Rico Relief Project, Farmworkers Self-Help, Inc. and Americans for Immigrant Justice at their websites below, and let their stories move you. Farmworkers Self-Help, Inc. (FSH), located in Dade City, Pasco County, Florida, was incorporated as a 501(c)(3) non-profit corporation in 1982. It was organized as a grassroots effort by immigrant Mexican and Mexican-American migrant farmworkers and former farmworkers to find solutions to the problems of the farmworker population. FSH facilitates self-development, self-help, grassroots organizing, participation and leadership development, and seeks to bridge the gap between isolation and societal mainstreams, while preserving cultural heritage. It is committed to farmworkers and other poor taking charge of their own lives and destinies. Direct maintenance services such as emergency food and clothing, shelter assistance, medical assistance and immigration assistance are provided because of the tremendous local need, but the majority of our efforts and programs work toward facilitating the self-development of the whole person toward self-reliance and personal independence, through community organizing, education, a higher education scholarship, advocacy, justice and empowerment. AI Justice’s Detention Program attorneys advise immigration detainees about their basic rights, helping them to obtain release and fight deportation. Detention clients include asylum seekers, survivors of domestic violence and trafficking, and Deferred Action for Childhood Arrivals (DACA)-eligible young people. Almost a year after Hurricane Maria, contaminated water, lack of electricity, and low rations of food and hygiene products are still urgent concerns for the residents of Morovis in central Puerto Rico. Our group of physicians and students at the University of Florida College of Medicine are working to provide basic health and medical supplies such as medications, hygiene products to hospital and church distribution points we have partnered with on the island. These hospitals let us know what they need then we deliver!